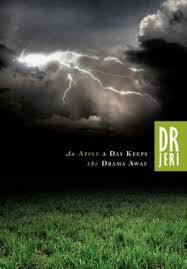 i‘m so excited about the release of the new book, An Apple A Day Keeps The Drama Away, by Dr. Jeri Dyson. Dr. Dyson is a teen doc and internationally recognized for her work. full disclosure- I have know Dr. Dyson for years and have been a fan of hers from day one. she is super smart. xavier med school grad and trained in adolescent medicine at john’s hopkins; so she knows her stuff! Dr. Dyson and i have worked together with the BET Rap It Up Campaign of which she is the medical advisor. i could go on and on about her accomplishments. BUT the most important thing about Dr. Dyson is her commitment and passion for helping people be their best and most healthy selves. she currently practices medicine, so she is in the know about what’s happening with today’s youth. in fact her radio show GET IN THE KNOW with Dr. Jeri Dyson is followed my many youth looking for advice. Dr. Dyson realized others could use the advice she offers in her practice and with her show, so she wrote this book. here’s what Dr. Dyson had to say about her book, An Apple A Day Keeps The Drama Away. written in her unique keep it simple and fun style, An Apple A Day Keeps The Drama Away, is a great read. it’s spiritually based with bite sized nuggets that readers will love. i think this book is especially good for young women who are just going off to college or newly on their own. the gems in the book will start you off on the right footing. pick up a copy today…doctor’s orders! My blog is normally focused on issues related to teen girls and young women but today I must break topic. i’ve been sitting at home stunned at the not guilty verdict in the Trayvon Martin case. race and racism has come up a lot. i believe its not about race! i believe its the widespread devaluing of human beings and is much deeper than race. how many times have you heard about the bombing of innocent victims in arab countries and just shrugged? how many times have you heard about a hate crime against someone who is gay and looked the other way? how many times have you agreed that a woman must have ‘asked for it’ when she was raped after being provocatively dressed? our society makes it a practice of devaluing another’s life because of stereotypes and negative judgments about ‘those’ people. making it about race is what blinds us from recognizing the humanity in all of us. it continues to allow the control and power that comes from dividing people. 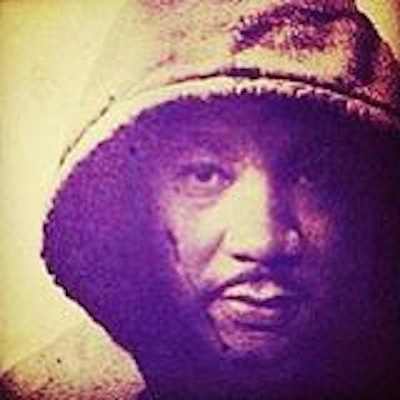 the only action that we must take is to unify in peace and demand the human rights of all people. i admit proudly that i am a daddy’s girl. i remember as a young girl flying into his arms and he would pick me up and look into my eyes with love. i have so many memories of my dad going to my school productions and awards ceremonies. most of the time, he was the only man around. it’s still a running joke amongst my old friends, how he would pull out his camera and the flash would blind the whole crowd. there was no doubt in my mind that my dad was supportive of his little girl. we would have long discussions about the state of world affairs. the nerd girl in me would be so excited that i could debate with a grown up. to this day, i am grateful for him acknowledging my voice. he is my rock and my hero. he taught me that men respect and honor women, so his expectations of the guys i would date were super high! thanks to his disapproving eye, i dodged many bad love matches. as i have grown into a woman, i see how similar we are. he loves people and so do i. he loves different cultures and i live for new travel adventures. he loves baking and i’m starting to put a dent in my oven skills:) i CANNOT imagine my life without him growing up and now. in my work with girls/young women, i realize there are so many of you living without your fathers. some of you know who they are, some of you don’t. some of you act like it doesn’t matter, some of you are clear there’s a hole in your heart. i could jot down some psycho jumbo about the wounds of childhood traumas, but the reality is that being without a father has never been my experience. i’m not going to pretend i know what it feels like. but there is one thing i know for sure; not having a good relationship with your father is a significant factor in your life. you gotta take some time to think about it and get some ideas about the best ways to move forward. that’s why i’m glad Oprah and her tv network OWN has decided to take on the issue and talk to girls/women who do not have fathers in their lives. i’m looking forward to watching the special discussion about fatherless daughters on OWN tv tomorrow night (July 14th) 9pm (EST). i’m also very happy to see she will be airing an amazing documentary by Kobie Brown called From Fatherless to Fatherhood. i saw a special screening of this film last year. it is an uplifting showcase of fathers, like mine, who are there for their children. i hope those stories can be an inspiration to fathers to better their relationship with their daughters. let us know what you think… what does your father mean to you? do you want to create a better relationship with him? The first annual All-American High School Film Festival will be held in New York City the weekend of October 4-6 as it seeks to empower the next generation of filmmakers through exposure and resources. Aspiring high school students can submit short films to the festival in a variety of genres: Drama/Narrative, Comedy, Documentary, Sports Narrative or Documentary, Animation, Music Video, Experimental (for all of those films that don’t quite fit the other categories), Scholastic Book Trailer, Made in NY and PSA. The Made in NY category is open to free submission for high school students until August 2. Short films submitted to this category should show the judges a day in the life of New York City teenager and what’s it like growing up in New York City. Films could discuss why you love your neighborhood, what your family’s like, or what you want to do after graduation. Submitted films should be two and a half minutes in length, and for this category, at least 75 percent of the piece must be produced within the City of New York. The winning film will be shown on NYC life (Channel 25) and nyc.gov/vod, NYC Media’s video-on-demand player. The All-American High School Film Festival aims to provide an engaging and relevant festival experience that includes: screenings of the top films in each category, a comprehensive college fair, technology and product showcases, panel discussions and hands-on workshops. Festival judges include: Andrew Jenks, Ed Burns, Morgan Spurlock and Dylan McDermott. The festival will take place at the AMC Empire 25 Theater in Times Square. For more information about the event as well as how to submit your film, please visit aahsff.com. lots of girls are buzzing about the documentary ‘imagine a future’ that was produced by Black Girls Rock, Inc. and is part of the P & G My Black is Beautiful campaign. it comes on tonight at 10pm (est) on BET networks. the movie is about a girls journey to discovering her beauty and strength.